The chikungunya virus, transmitted by mosquitos, has been endemic in East Africa since at least the 1950s, when it was first discovered. Emory University School of Medicine is one of three national sites participating in a Phase 1-2 clinical trial of an experimental vaccine to prevent infection with the chikungunya virus. The trial is sponsored by the National Institute of Allergy and Infectious Diseases (NIAID) of the National Institutes of Health (NIH). Chikungunya virus is transmitted by mosquitos. Although it is rarely fatal, it causes an intense inflammatory reaction resulting in severe joint pain, fever, rash and muscle pain. Most symptoms usually resolve within a few days, but the joint inflammation can persist. The virus has been endemic in East Africa since at least the 1950s, when it was first discovered. It circulates in monkeys and sometimes humans. It arrived in the Caribbean in late 2013, and as of March 2017 has infected more than two million people in the Americas, according to the World Health Organization. 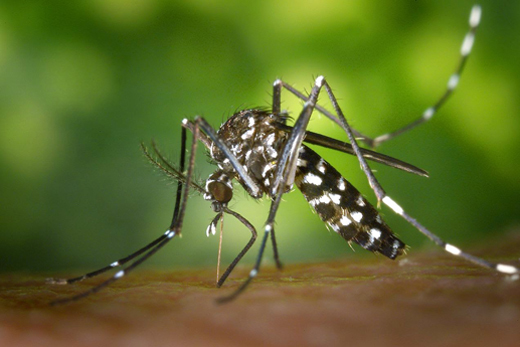 Cases of chikungunya have occurred in the Florida Keys. Emory is one of three sites participating in the clinical trial, along with University of Iowa in Iowa City (which will lead the study) and Baylor College of Medicine in Houston. The three sites are part of the NIAID-funded Vaccine and Treatment Evaluation Units. "This is a very important opportunity to investigate the safety and the immune responses that are generated by this new vaccine. If this vaccine works and is safe, it could provide a powerful tool for preventing chikungunya from spreading into the U.S. and in preventing infections in U.S. travelers," says Evan Anderson, MD, associate professor of pediatrics and medicine at Emory University School of Medicine and principal investigator of the Emory site. Co-investigators include Mark Mulligan, Nadine Rouphael, Jumi Yi and Inci Yildirim. The MV-CHIKV vaccine was developed by Themis Bioscience of Vienna, Austria, which conducted a Phase 1 trial of the vaccine in 2014 showing it was safe and induced an immune response. The vaccine is a measles vaccine virus modified to produce chikungunya virus proteins. The vaccine induces the production of both measles and chikungunya proteins inside human cells, and the immune system develops antibodies against those proteins. The clinical study will enroll 180 healthy adults ages 18 to 45, with 60 expected to be enrolled at the Emory site. Participants will be assigned randomly to receive two injections of either low-dose or high-dose experimental vaccine or placebo at either 29, 85, or 169 days after the first injection. The results will help determine the best dosage and timing for the vaccine. Neither participants nor researchers will know whether participants are receiving vaccine or placebo. The research team will follow up with study participants by phone and during clinic visits over 8 to 13 months to monitor for any adverse reactions. Participants will provide blood samples to be analyzed for development of chikungunya antibodies, indicating an immune response. Themis Bioscience is currently conducting a Phase 2 trial in Europe with the same vaccine candidate. Other vaccine candidates for chikungunya virus are also being studied in clinical trials. For more information about the MK-CHIKV vaccine study, see www.clinicaltrials.gov using the identifier NCT03028441. For more information about the MK-CHKV clinical trial at Emory, please call Melanie Johnson at 404-727-4044 or email her at: ecc.vaccine@emory.edu.